Generally, the most common roofing glitches are completely preventable. Luckily, most common roofing hitches are avoidable with planned maintenance and well-timed roof repairs. Except for the abrupt impact of the extreme weather, most roof problem develop over time. Regular inspection of the roof’s condition and prompt repair of even minor damages will prolong the life of the roof. Eventually, it will help prevent the widespread damage of your roof and home. Orezona building & Roofing delivers a wide range of proficient repair and maintenance services, comprising storm damage repair and roofing coverage process claims assistance. The team will do a comprehensive inspection and assist you to come up with a repair and maintenance strategy. As one of the most trustworthy roofing company in Corvallis, OR, they give details on how to prevent and handle roofing problems. We Are Your Trustworthy Roof Repair Expert! Leaks are indications of a bigger problem. Usually, homeowners don’t realize the problem until they notice evident damage in their home by which the leak has extended to an advanced phase. The cause of a leak is typically in an entirely different part of the house from where the sign of water damage is seen. 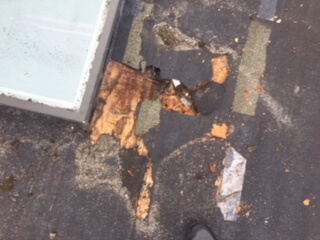 Typical wear and tear can lead to roofing leaks but the impact from hailstones, large tree branches or airborne debris are more common culprits. Leaks worsen over time, so at the first sign of a leak, you need to arrange for prompt repairs. Wind damage, particularly in the roof edges, is another common roof problem. In every single roof, the first line of shingles is most susceptible to strong winds. That is why it is very vital to have your roofing systems installed by a professional roofing contractor. It is yet another roofing hitch that can cause leaks and structural problems as well. The heat and moisture will start to build up causing damage of your roof from below that leads to leaks, ice dams, and other problems if the attic is improperly ventilated. Granules in the gutters are of no concern on a freshly installed roof. They are just slack granules that fell off while installing the roof. On the other hand, if you have a long-standing roof and the granules are peeling off, it can be an indication that shingles are weakening. It is the granules that protect the shingles from the sun’s destructive UV rays. Lack of roof care is the roof’s worst enemy. Most of the roof’s problems begin as minor like the need to get rid of overhanging tree limbs or cleaning clogged up gutters. If these are not corrected, it can lead to serious damage. Routine roof assessment and maintenance is essential to extend the roof’s life, and you eventually save lots of money. If it has been long since your roof was inspected by a professional, or if you notice any of these problems, call the experts at Orezona building & Roofing to make sure of your homes constant protection. They are known to be one of the best residential roofing contractors in Corvallis, OR, which is also being affirmed by the reviews of previous customers. With over 25 years of joint experience and practice in the roofing industry, their specialists have seen it all. You may call us at (541) 204-1286 or visit us at our Orezona Building & Roofing Facebook Page for more details. Contact Us Today!